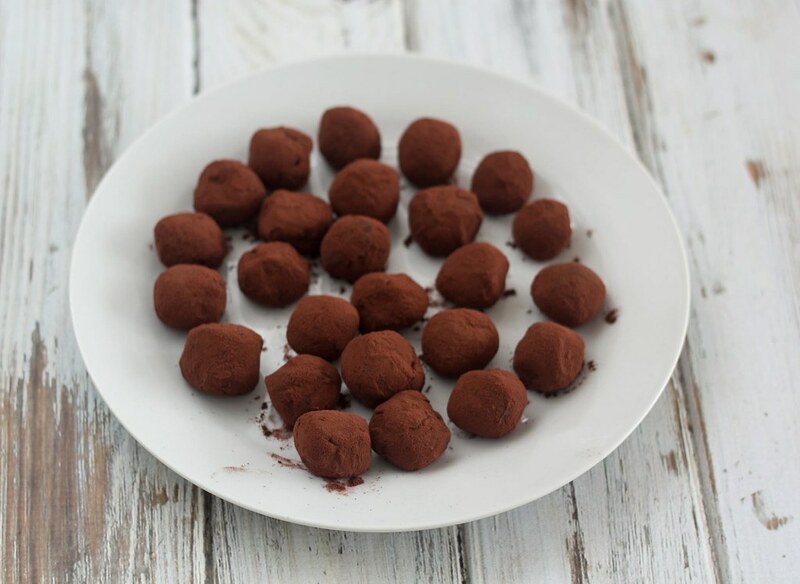 Chocolate Truffles Recipe, very simple and super delicious! 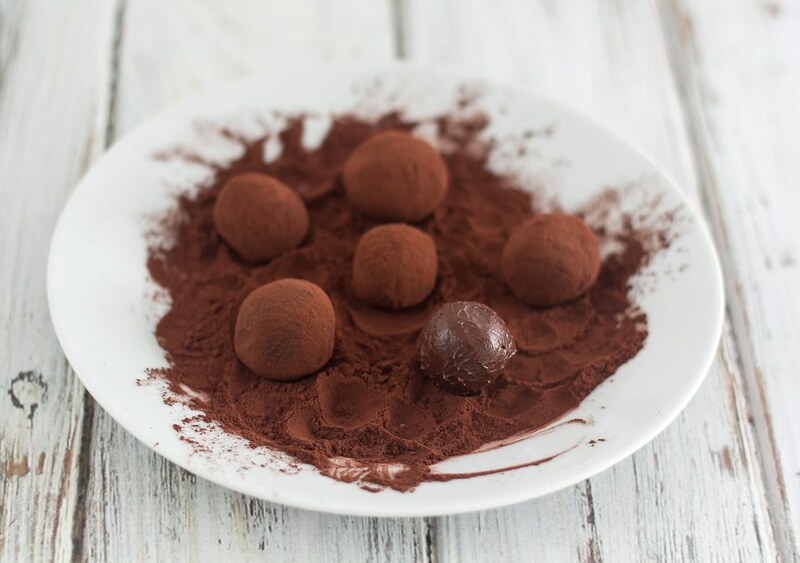 Chocolate truffles is a kind of confectionery which are typically covered with chopped nuts like almonds, coconut or hazelnuts, or sometimes they are simply just covered with molten chocolate. 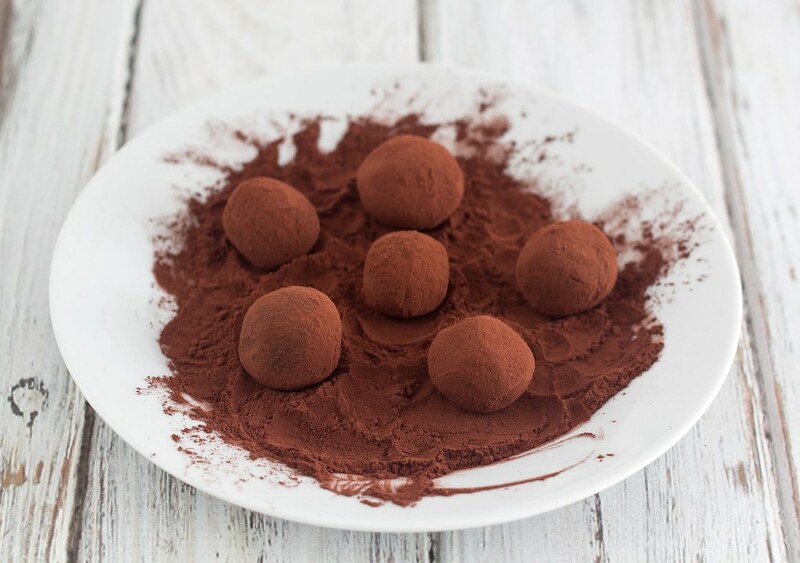 In this very simple recipe we have covered the truffles in cocoa powder which gives they a super delicious taste. 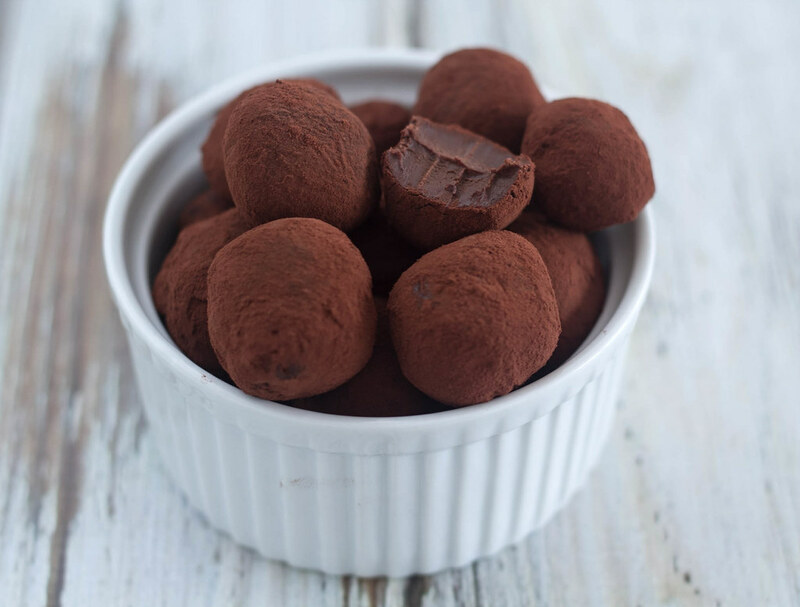 These chocolate truffles are very easy to make, in fact they require almost no work. You only need three different ingredients; heavy cream, rich dark chocolate and cocoa powder. The chocolate is simply just melted in the heavy cream and left in the fridge to solidify for a couple of hours. Then the chocolate mixture can be rolled into small and nice chocolate truffles. Step 1: Heat up the heavy cream in a sauce pan and melt the chocolate in it. Step 2: When the chocolate is completely melted; pour the mixture in a bowl and leave it in the fridge until it is solid but still a bit soft. This normally takes a couple of hours. Step 3: When the chocolate/cream mixture is solidified use a tea spoon to form small balls. 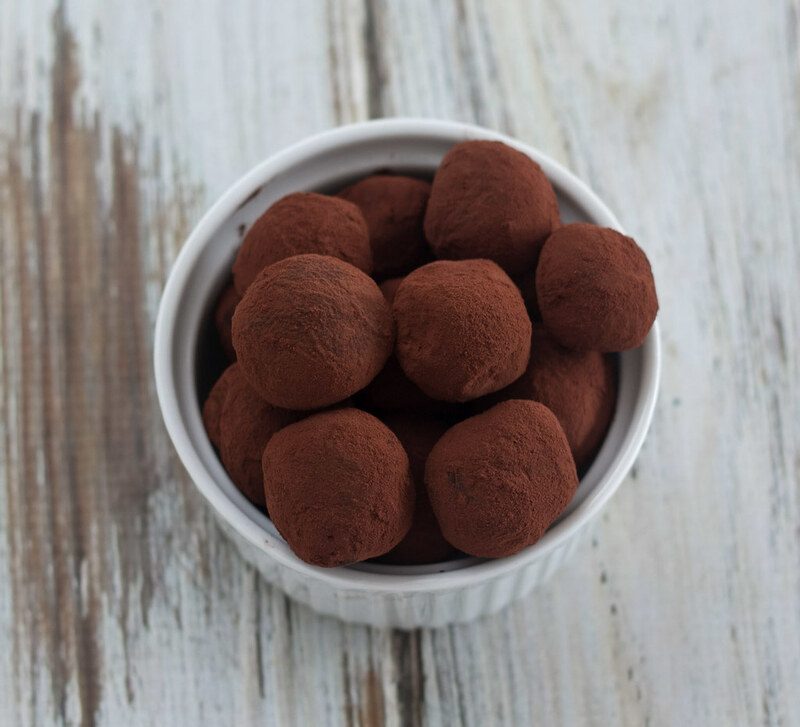 Roll the chocolate truffles in your palms until they are perfectly round. If the chocolate truffle is still a bit soft leave it in the fridge for some more time. Step 4: Pour some cocoa powder on a plate and roll the truffles in it. 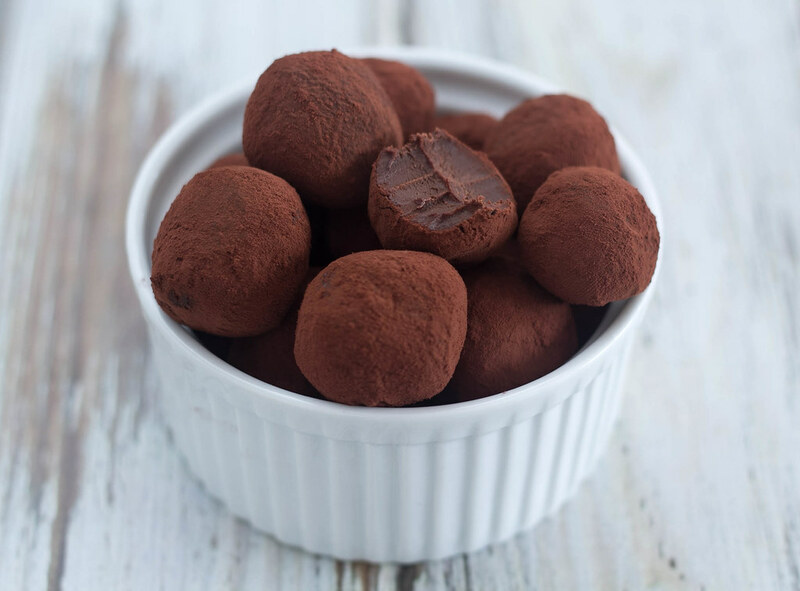 Keep the truffles in the fridge until serving. This is very similar to the Brazilian brigadeiro — except we use sweetened condensed milk instead of heavy cream. Just like the brigadeiro!! The consistency also appears to be the same…we typically top it with Nescau, shredded coconut, powdered sugar, or crushed almonds/pistachios. Regards and obrigada de Brasil!! ?? ?